What is a party without a cake? Here at Oscar’s Den we tend to agree! Whether it is a children’s or an adult’s party, make your celebration that little bit more special with a bespoke cake to fit the theme of your party. We can create simply any design you desire, flat or three-dimensional, and even cupcakes. From princess castles to pirate chests, from handbags and shoes to racing cars or football pitches – there is absolutely nothing we can’t do! 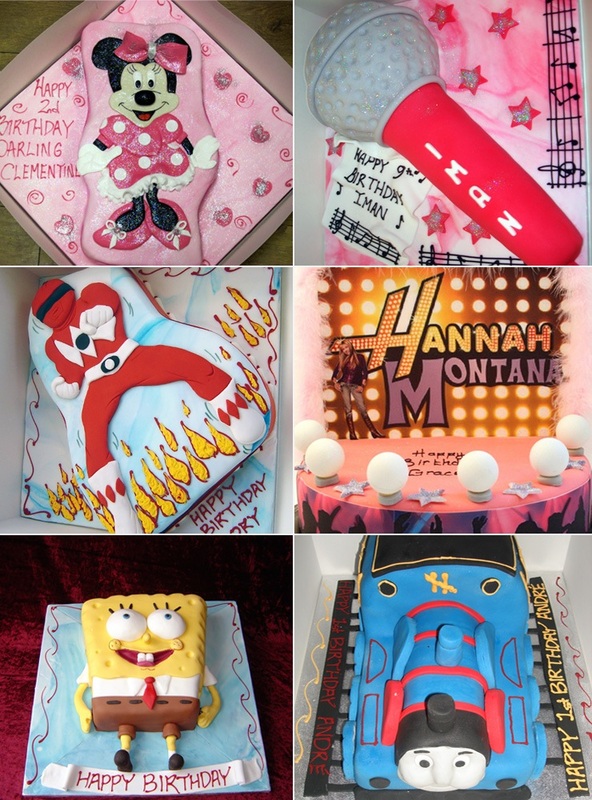 You can even have a cake in the shape of your favourite film or television character! If you would like the best cake at your party, then Oscar’s Den is your answer. We can also cater for specific dietary requirements, for example dairy free cakes, nut-free cakes, gluten free cakes, and cakes suitable for coeliacs. Please ask us if there is something you require. Below are some samples of our cakes.